Apparently it’s as simple as 1-2-3. 1. 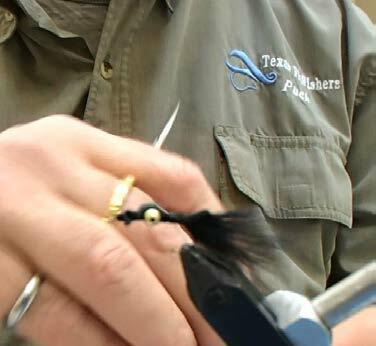 Tie in the bead chain eyes about ¼ inch back from the hook eye. 2. 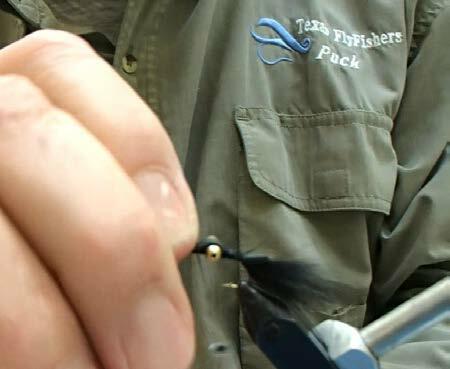 Tie in the zonker strip at the front of the eyes, and bind down to the end of the shank. 3. Cut the skin of the zonker strip. Bring the thread back to the head and tie off. Add a drop of glue, and it’s done. This is one of my “go to” flies. I have no idea what the LMB and bluegill think it is, but it works.